Sometimes, soap making questions get asked enough times that they become frequently asked questions. Since it's silly for me to just keep answering the same questions over and over, I've putting together this page to help you find your answers quickly and easily! 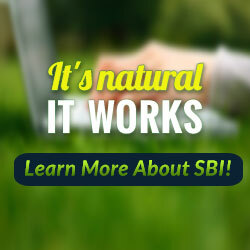 This list consists of frequently asked questions that are pretty general. Can I make soap without using lye? When is lye no longer caustic? Why is the soap dissolving so fast? How long should handmade soap last? My soap has lost its smell really fast. Why? Can I use cup measurements for soap making? Should I gel my soap or not? Do I have to insulate my soap? Here's a list of frequently asked questions relating to soap recipes. How do you make white soap? Can I double a soap making recipe? Can I replace the water in a recipe with other liquids? Can I use a different oil in a recipe? Can I use veggies & fruit in my recipe? Soap is the result of a chemical reaction that occurs when an alkali (lye) and a fat or oil (base) combine together. This reaction is called saponification. No. If it does not contain lye, it is not soap. You can, however, purchase soap that has been pre-made to avoid having to use the lye. That step will already have been done for you. You can buy either melt and pour soap or purchase regular cold process soap and re-batch it. Lye (sodium hydroxide) is always caustic in the flake, bead and liquid form. It only ceases to be caustic when it is no longer lye. When the lye solution has been combined with the oils, the chemical reaction that bonds the lye and the oils together into soap begins to take place. Lye is no longer caustic once it has become soap. This is usually 24 to 48 hours from pouring the soap into the soap mould. The soap can be quite soft and drying to the skin until it has properly cured which can take about 4 weeks time. Handmade soap should be stored in a cool, dark and dry location such as a linen cupboard until it is ready to be used. It is best to not wrap or pack cold process, hot process, and room temperature soaps tightly as they will continue to lose moisture as time goes on and you do not want to trap the moisture against the bars. Once moisture is re-introduced to the soap it will begin to deteriorate and could develop DOS. Place your soaps on a tray where air can circulate around them and only wrap once they are ready to be gifted or sold. If your soap is melt and pour, you should wrap them in cling wrap as soon as they are hard enough to be handled. This will stop moisture from being attracted to the bars and help to maintain the scent. Soap naturally wants to dissolve. When left to sit in water, the soap will swell, become soft, and develop a jelly like exterior. In order to get the most out of your soap, allow it to dry between uses. Do not leave it in a location where it will have a constant stream of water flowing over it such as near the shower head. Place the soap at the opposite end of the tub to let it dry out between showers. When bathing, do not leave the soap to float around the tub and at the sink, be sure your soap dish is draining. DOS stands for dreaded orange spot. When the oils in soap start to turn rancid, the soap can develop orangey, brown spots. You may notice the soap has an oily smell to it rather than a nice soapy smell. Sadly, DOS can happen to newly made soap. This is likely due to oils being used in the process that are old or were poorly stored. Just because the oil is new does not mean it is fresh or was stored properly. Purchase your oils from a soap making supplier or a grocery store with a high turnover rate. Handmade soap will last a long time. I have had 4 year old soap that was just fine...except that it didn’t have any scent left. I prefer to use my soap before it hits the one year mark. If you want your soap to last as long as possible, use fresh ingredients and store it properly. Some fragrance and essential oils last longer than others. Citrus oils for example will evaporate quite quickly. When making soap with scents that do not last, the key is to use enough scent and to use a fixative in your recipe. Fixatives include kaolin clay, bentonite clay, orris root and all base note essential oils. To keep my soap smelling great for as long as possible, I like to use a bit of kaolin clay and at least one base note in every recipe. The saponification process is based on the number of milligrams of sodium hydroxide (lye) needed to convert a gram of oil. Since all oils have a different weight per cup, it would be impossible to use cup measuring to make soap accurately. Accuracy is even more important when you make small soap batches where your margin for error is very small. If you plan to make handmade soap, a scale is a must. This is purely a personal preference. Either way produces wonderful soap. Gelled soap tends to have brighter colours, saponifies faster and will get harder sooner. Non-gelled soap usually has lovely pastel shades and is thought to be easier on delicate additives but it does take longer to saponify and harden. Whether or not you insulate your soap will depend on a number of factors but the main question is ‘Do you want your soap to gel?’ If the answer to that is yes, then you may need to insulate your soap. Factors that help a soap gel are: a good insulating soap mould, a warm location, a recipe with a good percentage of saturated fats and the inclusion of any sugar based ingredients such as milk. I live in British Columbia, make soap all year long (even when it’s hot), often use milks and a decent percentage of saturated fats. I also always insulate my soap mould with two woollen blankets. I check on the soap every hour or so until I see it has reached a full gel and then I unwrap the soap to cool. I do this because experimentation has shown me that this is what I need to do for my soap recipes in the location I live. It works for me. You will have to experiment as well. There is no quick ‘one size fits all’ answer. Watching how your soap behaves is the key. Try insulating the soap and take a peek at the process as it occurs. Give not insulating your soap a try and see how that works. Then decide what you want or need to do. Brown soap can happen for a couple of reasons. The most common causes are scent oils and milks. 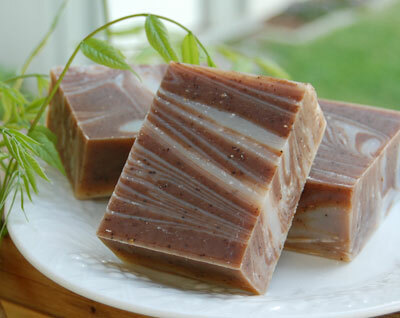 Vanilla essential oil and fragrance oil will almost always turn your soap brown. It's not the only one either. Many scent oils, whether they are fragrance or essential, will have an effect on the colour of your soap. Goats milk and cows milk will often turn your soap a brownish tan colour. The milk contains sugar and the sugar reacts with the lye, heating up quickly and caramelizing which results in beige or brown soap. Every ingredient in your soap recipe will determine the colour of your final soap. In order to make your soap as white as can be, you will have to use ingredients that have very little colour. The whiter or clearer the ingredients, the whiter the soap. Ingredients like coconut oil, refined Shea Butter, regular grade Olive oil, Canola oil, Castor oil, lard, tallow, and any other oil that is white or a clear pale yellow will produce a near white soap. You can increase the appearance of white in soap by adding titanium dioxide or white mica. This will add a chalky whiteness that can considerably lighten the look of a soap. As long the recipe is accurate, you can certainly double it...triple it if you like! When I produced soap in large volumes, I had my standard size recipe. Depending on how well that particular soap sold, I would make what I called ‘Doubles’ or ‘Triples’ of it. Most certainly! Many other ingredients are used in place of water in soap recipes. Milks (of every kind), juice, beer, wine, fruit purees, vegetable purees, and aloe juice to name a few. Be aware that most of these ingredients contain sugar which will heat up your lye and speed up the saponification process. There are many methods used to incorporate these ingredients into soap so you will need to do your research to see what method you would like to use for your chosen ingredient. Yes you can! BUT you must run your recipe through a lye calculator in order to find out the new amount of lye needed to make your soap. You cannot just swap out one oil for another without doing this step. Be aware that any time you change an oil in a recipe, you also change how that recipe will behave. Each oil performs certain functions in a soap. Change the oil and you change the soap. Some oils behave in a similar manner so if you want the soap to behave much the same way, use a similar oil. For example: If you decide to switch out coconut oil and use olive oil instead, your soap will no longer have big bubbles. It will now be more conditioning but the lather will be quite thin with very little in the way of bubbles. To keep the big bubbles the coconut oil gave your soap, you would have to use oils like Palm Kernel oil or Babassu oil. Check out my 'Soap Making Oils' page and scroll down to 'Formulating a Recipe'. You will find lots of info on what oils are similar and how to make your own recipes. Pureed fruit and veggies will work in handmade soap (not melt and pour) though it is best to keep the amount on the lower side since the more unsaponifiable matter your soap contains, the shorter shelf life it will have. Chunks of fruit and veggies on the other hand are a no, no. Lumps of material that can rot, will. As wonderful as strawberries and cream soap sounds, in reality, it will be rotten chunks of strawberry mush in your soap. Yuck!